Located in Peace River, Harcourt Law Group is dedicated to helping our clients in north western Alberta in their legal needs. 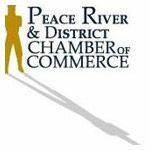 Founded six decades ago, this firm has gone through several name and staff changes over the years, but our dedication to civil service and general practice law in Peace River has stayed the same. Our team has years of experience with a variety of legal areas, from real estate law to business law to divorce and family law, and we help clients of all kinds, from businesses to government entities to individuals, get the help they need. 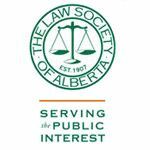 Our vision is to address the array of legal challenges companies and individuals may encounter in Alberta and beyond. We approach the law with depth, diversity and experience. Our legal expertise combined with our business knowledge and problem solving skills has led to long relationships with our clients. We take the time to understand you, your business and industry environment and then apply our expertise and experience to create solid solutions.